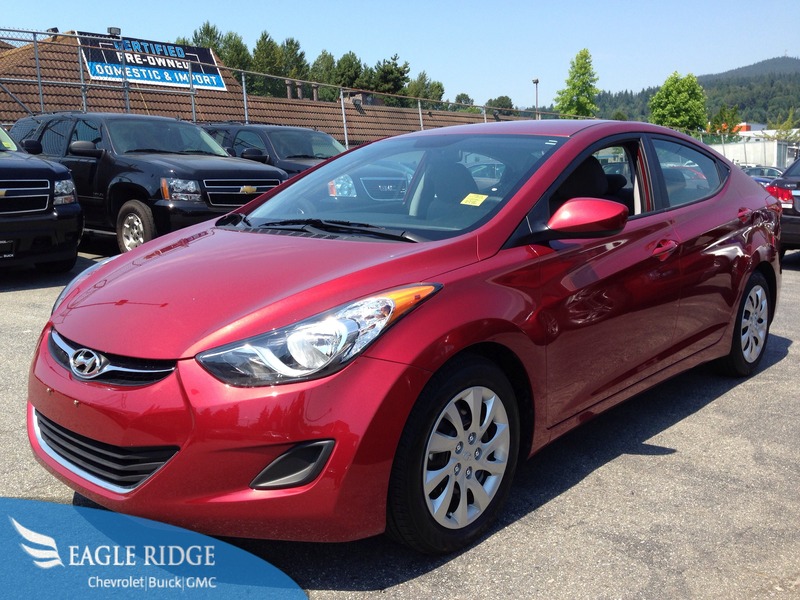 The appeal of the Hyundai Elantra is simple: it is affordable and loaded with features. Sometimes a compact car makes you compromise options for a lower sticker price, but the Elantra is an exception. Most of the time, you can easily find a car that has power windows, locks and mirrors without too much trouble. If you’re lucky you might also find cruise control and/or air conditioning. After that, the list of features generally runs out. Jump in the driver’s seat of the Elantra and you’ll be pleasantly surprised to find more goodies. The first thing you will notice is the steering wheel full of buttons. Having controls at your fingertips is safe and convenient. It reduces the chances of taking your hands off of the wheel. 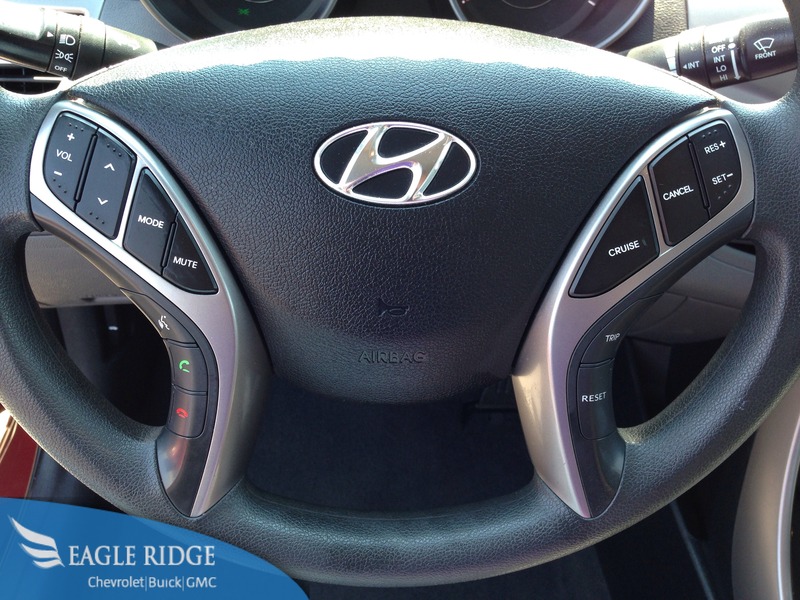 These buttons include the usual cruise control, but also feature audio controls and Bluetooth telephone controls. Jump into a comparable Civic or Corolla and the wheel is devoid of any audio and Bluetooth telephone controls. Shifting your attention to the center dash area is where you will find a sleek layout with easy to use radio and climate control buttons. A few more goodies will catch your eye. First, heated front seats will make winter driving slightly more enjoyable. With dual stage functions, front driver and passenger will stay nice and toasty no matter where you go. The next goodie (and my personal favorite) are the dual power outlets and auxiliary and USB connectors. This means that you can connect and/or charge multiple devices and effortlessly listen to your music while you are on the go. 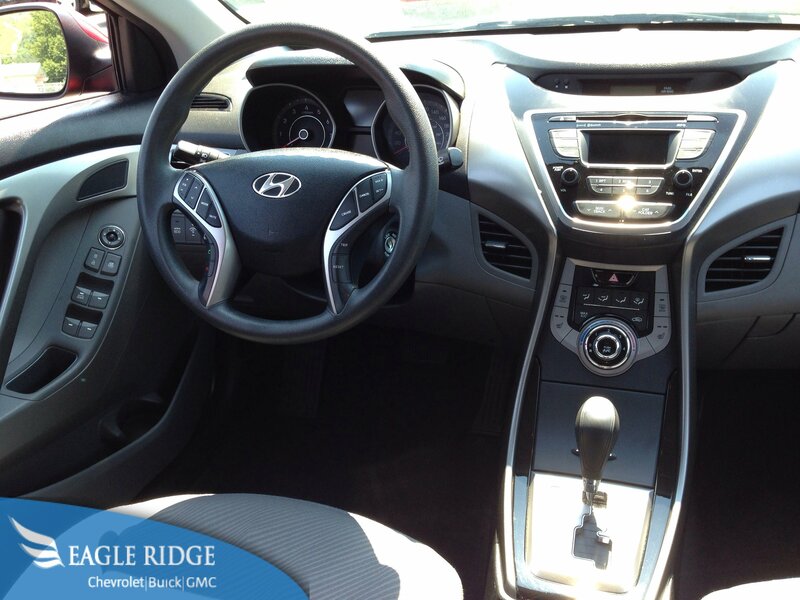 That combined with the Bluetooth means that the Elantra is a technology lover’s dream! There are many other positive features that will excite and impress potential car buyers. The Elantra comes standard with keyless entry, a roomy backseat (which can indeed accommodate taller passengers), an efficient and respectable 1.8L 4 cylinder engine, numerous storage bins, side impact airbags for front driver and passenger, an automatic transmission with select shift, split folding rear seat and a whole lot more. The 4 cylinder engine will help to make trips to the gas station less frequent and not as difficult on your wallet. The Elantra also features an ECO mode to help stretch every litre of fuel. You can also choose between a sedan and hatchback variant, something lacking on almost every competitor. The sedan has an arguably sleeker exterior design, but the hatchback will be far more accommodating for passengers and cargo. 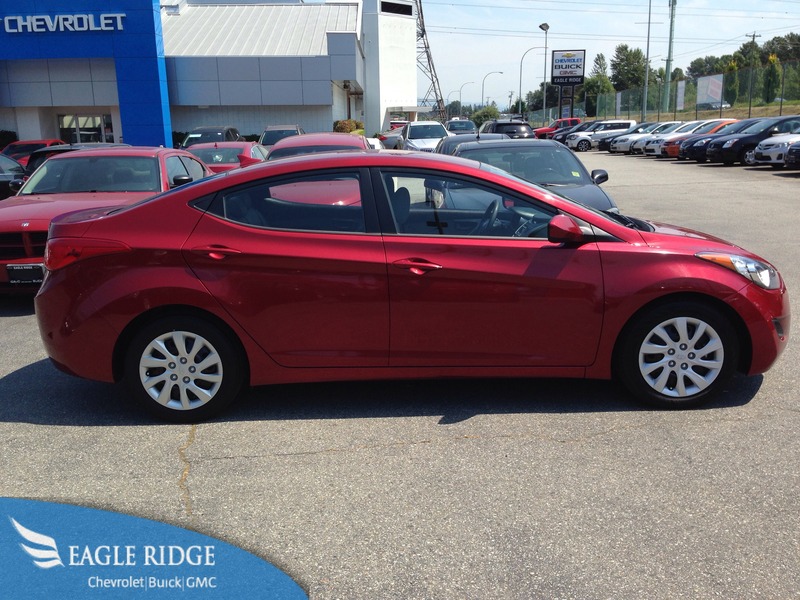 With nearly a dozen Elantra models on our pre-owned lot at the time of publishing, there is lots of choice and lots of value in these efficient cars. Make sure to watch the review, then come for a test drive at 2595 Barnet Highway in Coquitlam, BC!